This is the next post in a series of posts about PostgreSQL and is actually a continuation from post on “PostgreSQL Create User – Manage Users“. 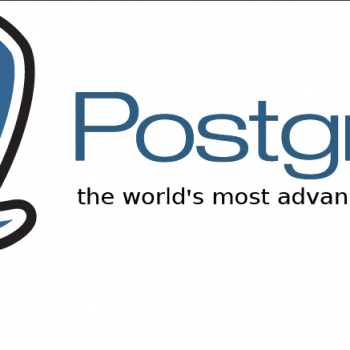 If you followed my post on “PostgreSQL Create User – Manage Users” then you successfully created your firstPostgreSQL users and also assigned them desired rights and privileges. 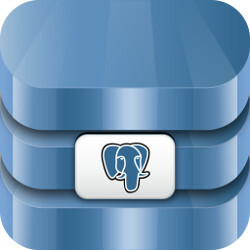 The next step is to create and manage PostgreSQL databases and thus a post onPostgreSQL Create Database follows. In this post we will describe how to create, delete and change a database and all of the useful options to go along with. We will also learn what a tablespace is and how to create a new tablespace for PostgreSQL database to reside on. 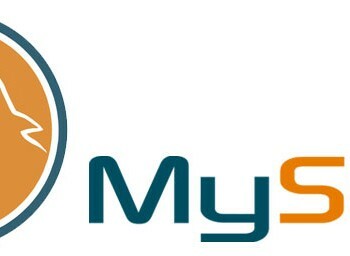 create a database via “psql“ SQL command. We are assuming you are running a fresh and clean install of PostgreSQL server and did not touch “ph_dba.conf” file yet. This is important since by default authentication for local users is set to peer and enables “postgres” user to login via “psql” without any password prompt. We can create a new PostgreSQL database using the console command “createdb” which we must run as “postgres” user. Although console comand “createdb” is a wrapper around SQL “CREATE DATABASE” command, it does not support setting a “connenction limit” for the newly created database. By default, if no database name is specified, a new database with the same name as the user running “createdb” command will be created. Interesting thing is also that by default new databases will be created by cloning the standard system database “template1”. In this example we created a new database called “database01” with owner “geek01” – of course this PostgreSQL user must exist. We can also define locale, encoding and the template to use when creating a new database. You can see all available options by running “createdb –help”. New PostgreSQL database can also be created via “psql” command. Change to “postgres” user and run “psql” to run SQL commands. Creating a new database via “psql” command also allows us to define the “connection limit” for the newly created database. These are the concurrent connections that can be made to the database. The default setting for this is -1 which means unlimited number of connections can be made. Please do not forget the semicolon at the end of each SQL command! We can also define default encoding locale, encoding, template and connection limit when creating a new database. There are two ways of deleting a PostgreSQL database. One way is to drop the database via console command “dropdb” and the second one is to drop the database via “psql“. Again, “dropdb” console command is a wrapper arounud the SQL “DROP DATABASE” command. Halfway through. We already covered the topics on PostgreSQL Create Database and Delete Database., but sometimes we need to make changes to existing database and this is no problem to do in PostgreSQL. Changing existing database owner or anything else is a made in a snap in PostgreSQL. Again we need to become “postgres” user and run “psql” command. When this is done we execute “ALTER DATABASE” SQL command with the desired options. This command changed the owner of the database “database02” to user “newuser”. This command renamed the database called “database02” to “database01. Tablespace is a location on the filesystem where database and files related to this database reside. We can put more than one database on a specific tablespace. Tablespace name must be unique and can not begin with “pg_” since such names are reserved for system tablespaces. Usually tablespaces are used because we want to put the database files on a different partition on our system. With this command we created a new tablespace named “dbspace01” with user “geek01” as owner. The location is a directory on the filesystem. Please note that the location directory must exist, so create the directory prior to creating tablespace and the owner of the directory must be user “postgres”! There are also a number of changes we can make to the database using the “SET” parameter, but we will not be covering this in our how to. This is the end of my post on PostgreSQL Create Database and Tablespace, stay tuned for the next one!